The double arch swing is designed to provide the fun of togetherness!! It is all you need to make your backyards and play areas much more playful. With each to and fro movement, kids get the proper balancing techniques and they learn to coordinate and adjust with the pace. Swings encourage children to seek new heights and break their own records. 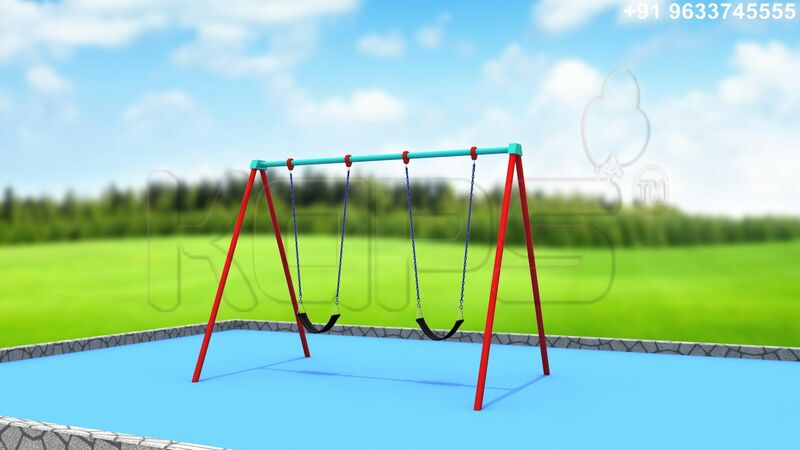 The easy glide design and comfortable seating make the swings the ideal choice in the play area.